The National Safety Council estimates that of all the car crashes in 2009, 1.6 million of them, or 28 percent of all roadway collisions and injury/fatality accidents were directly attributable to cell-phone usage alone. We’re not even looking at other types of distracted driving. So it goes without saying that distracted driving is a huge issue. But don’t think it is limited to cellular phone use. As we’ve explained before, distracted driving takes many forms, and even pets can be distractions while you drive. Despite this, there are only three categories of type of distraction: visual, cognitive and manual. A visual distraction will take a driver’s eyes off the road. A cognitive distraction places a driver’s mind on tasks other than driving. A manual distraction interferes with a driver’s physical operation of a motor vehicle. We all know the types of distractions that can occur, but unlike past articles, we’re not focusing on the distraction involved, but rather, what a driver may be missing on the road. In this, we’ll be looking at emergency vehicles. You do know the appropriate responses to emergency vehicles, right? It may seem strange to miss the near seizure-inducing light barrage as it assaults your optic nerve, but it happens. It also requires your ears somehow ignore the accompaniment of a cacophony of ear-slicing sirens. But somehow, drivers miss these cues every single day. Take, for example, drivers who wear headphones with an inappropriate volume level of music entering their ears. Not only are they shutting off the entire auditory world around them, but often, they’re also actively entering trance-like phases of action, where they’ve been whisked away to a rave at the hottest club in town. They’re sitting behind the wheel, for sure, but their minds and hands are elsewhere. We’re here to report that ambulance drivers, paramedics and firemen don’t simply flick on their lights and sirens for the fun of it. They’re rushing someone to a hospital, maybe even to a trauma unit or a heart center. Might even be someone you know or love, contained within without your knowledge. They may be responding to an a serious, violent crash that occurred just a bit down the road. Maybe someone you know was involved? Or they’re rushing to your grandmother’s house, which has been reported to be on fire. Perhaps even to your own home. Did you remember to turn the iron off? While most of us do know the appropriate steps to take when we’re being pulled over by the police or to know to get out of the way of a police car, so many of us seem oblivious to the other types of emergency vehicles, despite the fact that some of these vehicles are equipped with remote controls for traffic signals. The job of motorists when approached by an emergency vehicle is: GET OUT OF THE WAY. 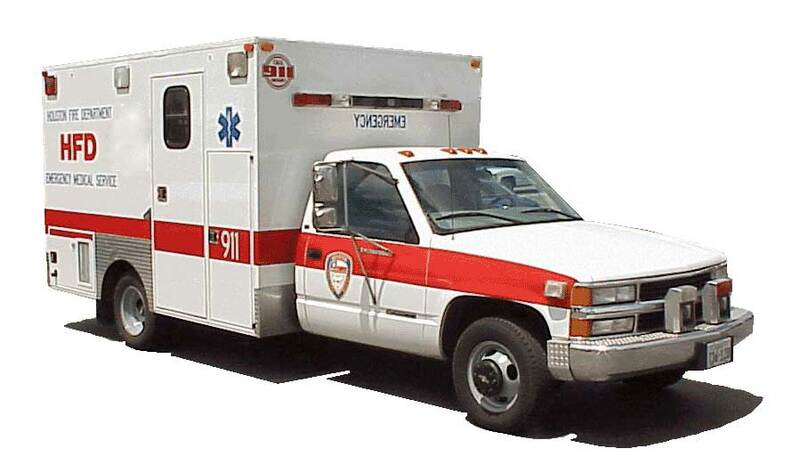 You should be able to hear or see an emergency vehicle some time before it is upon you. Once you hear the whine of a siren or the flash of lights, you should be scanning the roadway to locate the source. Although in truth, you should be scanning the roadway at all times behind the wheel as part of being a good driver. Get out of the way. Seems easy enough, but getting out of the way might mean different things, depending upon where you’re at. You’re going to be yielding right-of-way without question. If you’re at an intersection, don’t block it in your attempt to yield. The emergency vehicle may need to travel in the direction you’ve blocked. Once you’re out of the way, you should stay out of the way. In most jurisdictions, it’s also illegal and unlawful to follow any emergency vehicle closer than 500 feet. The same goes for situations where you encounter a situation on the road, such as an accident scene. Make sure you give emergency vehicles as wide a space as possible, and always approach with caution. Allowing the paramedics or firemen to do their stress-filled jobs without adding to their troubles seems like a no-brainer to us. And the states agree. It’s normally a serious traffic violation, with multiple driver’s points knocked off, meaning losing your licence could be looming over your head with further violations. And it will also lead to paying more for car insurance.